An Apple Cart, the battle between the King and the Ministers .. The king just want what is necessary..
Like a king size bed to go on comfortably with a lot of space.. But the Ministers want more, wiring more probably ..
Like the Many beds to sleep for the business class community having more preferences for their own people.. So Bellram advised the perusal of the 8th of Purana Lakshna with some "Nirodh" .. In the Gloskrutham Promotion activities..
For some cooked food enjoyments with LAMs / EAMs ..
Rather than the raw food of "No Result Orientation"..
Maybe to continue some concerts of Brahma Loka with some Sandiyaags.. Using a few "Thiraskarani" Vidyas of Vidyadharas too ..
By reducing the incentives to Value Education Works..
By reducing the Cinema promotion Acts..
By reducing the stocks promotion acts.. Citing the Cash Crunch Situation many times.. Thrusting and reminding the needs for pay backs for Gloskrutham Quality Improvement CGQIP programmes..
As though the Brahmastra of AswathaMa..
GJk and other members of PFA could understand the Bellram's efforts after Quality using the "Thiraskarani" techs of "Nethi, Nethi" as a policy framework.. But they were doubtful about such a strategy remembering the story of "Arakkillam" in Mahabharatha..
Lord Krishna's stories were enough to convince Kunthi Devi and others .. But Yudhishtir wanted more clarifications from "Bhikshma Pithamahan".. 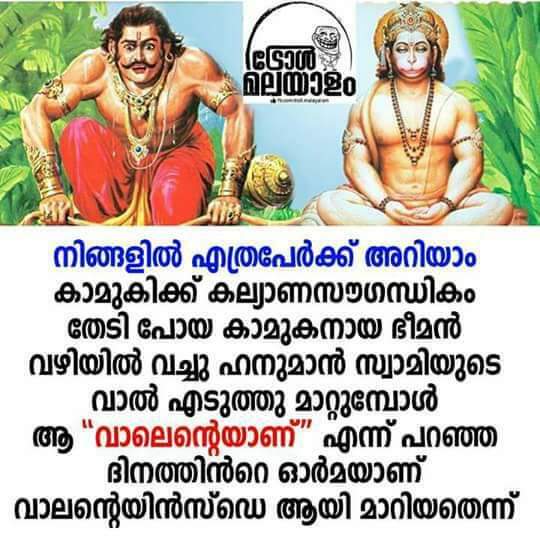 The doubts expressed by GJk and other Panchabhoota Members were that..
With a such a Brahmastra wave tech of "Nirodh" what if the achievements cannot be enjoyed well enough, if there is no continual Value Education by painting green around ..
Like the story of "AraKillam" in Mahabharatham..
What if the "Brahma Vidya" of wearing a green glass to see greenery turns out to be just an illusory build up without any real base .. So these questions were put up by GJk and other PFA members before Bellram..
As though in a Prithvi - Dharma Samvadam, Yama Dev asks the Pareekshit despite the beatings of Kali upon him ..
To give an answer Bellram quoted the master craftsman Bhikshmar who advised Yudhishtir with "Vishnu SahasraNamam" ..
"Maybe the encouragement provided or given to "NCBPs" (Namam Chollal Business Programmes) as V(W)it C upasana too may balance that individually so far the individuals are considered.."..
And individual, (need not semitic) seekers can be considered separately as individuals..
Like the "Dwaikshari" japa of Brhamadev providing a kind of yatch or skate board to travel above the waves..
Then GJk asked again, "Wouldn't that look like a big elephant travelling upon a small rat ?" ..
And Bellram answered, "That's the point of Miracle with Conversion of Hell into Heaven with the advent of Avatars who are ready to sacrifice.."
"Maybe like a Dinkan out of a rat ..
Or even, maybe like the advent of the "Garadua Principle" out of the "Nat(h)a Tatwam" to keep the ego low comparitively and fly high.."
"Painting the green around so far as an individual is considered and need not a collective semitic principle applicable to all .."
"As the invidual of comparitively lower ego from the semitic ones get the higher realms of flights with the individual dimensions of "Thiraskarani".."
And then GJk asked, "And do you mean a special kind of Nobel Prize for Gloskrutham that need not be visible to others ?".. And Bellram answered, "Maybe like a special kind of invisible marriages to successes for some slip - up p(i)e(a)ce fun dimensions externallyToo .." ..
And GJk just got wonderstuck at this awesome tech put up by Bellram as a continuation of Unity Concerts from the "Brahma Loka"..
Drizzles of Advanced Mist.. Gloskrutham Story ..
NGDCs .. Bellram is working hard like a donkey to do whatever possible by him in PR for a Nobel Prize for GJk .. Even after acquiring the local support for the cause, as a mile stone achievement in PR using Value Education of Adults, things don't seem to be going on fluently like a flow giving a picturesque show like the advertisement of Lyril Freshness .. Activities are going on like a road roller giving bare minimum results to go on and on .. International Agencies supporting VEW's VALUE Ed programmes have already reduced their funds to many projects of VEW for they thought, its becoming increasingly boring with repititions and that now seem more obvious with the same faces again and again without much freshness boostings in spirits ..
With the possibility of dyslexia looming large like a sword of Democleus above, Bellram had to find a solution to overcome that and he chose a "Bhaja Govindam" approach of GJk and put up that issue before GJk ..
GJk when saw this boomerang of Bellram coming back to him, he decided that they shall adopt a more professional P R head above Bellram and suggested the name of "Rajive Singhania" basically from Rajasthan .. If one looks more into the back ground of Rajive Singhania, he is less than 50 years old and in US now, who is the former husband of KimmiKat, (CEO of PEC) , now a divorcee, and staying with his daughter ViThani Singhania who is a millenial kid of Sweet Seventeen plus, studying for her graduation in Harvard University in US (Need not any Special Thani (ViThani) in Cards Play with the game 56..) .. Rajive Singhania is a pretty old maestro in Public Relations and a hard task master.. The proposal of GJk to appoint Rajive Singhania above Bellram in VEW got Bellram feel slightly dejected but to keep the principle in tact, he agreed to accept .. And then GJk used the PuttALoo Ammavan's "Gadha" mentioned in 2019 March 9 Balarama issue stolen by Luttappy to convince Rajive Singhania for a Home Coming, and being very fond of Indian Culture and its ancient wisdom, Rajive Singhania graciously accepted the offer to be the PR head of VEW .. He was happy to accept the offer, as he being a scholar himself in Vedic Literature wanted to do something for the people of his country .. He said her daughter to stay back in US and finish her studies in Harvard .. But being an ardent fan of Indian Culture , its festivals, its Cinemas and Salman Khan, she decided to quit her studies in Harvard to join an Indian Film Institute coming back along with his father to India ..
Rajive Singhania bought a bunglaw in Kerala in a beautiful Village and his daughter ViThani stayed in a hostel near her Institute so that she can visit both her mother and father in alternative weeks or holidays ..
To kick start the PR activities Rajive Singhania asked VEW to sponsor a few Vegetarian Tourists from abroad into some specific key temple festivals in interior villages along with stay in some key resorts as a part of a Meditation / Dhyana Programme introducing them into the rich heritages of India with help of some key note speakers on the modern relevance of ancient wisdom .. In abroad, he used some contests based on the knowledge in Indian Culture and Traditions to select the lucky ones to go for the cruise in India free of cost among the Vegan Associations formed there .. Most of the lucky ones were children of Indian origin parents along with a few from other countries too .. 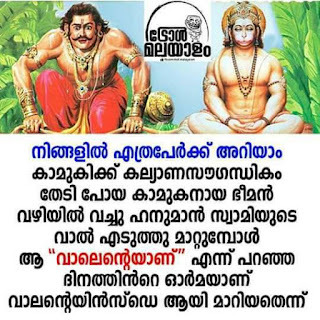 Thus kick started the "VijayPath" programmes of Rajive Singhania ..
And for ViThani Singhania it was a rich experience, travelling with her father to many beautiful and exotic interior temple locations, though they decided to postpone the Sabarimala Visit for various reasons probably like an Invisible Gorilla ..
ViThani Singhania also started writing screen plays based on each temple location that they visited prospecting for a Mega International Movie with Cat Cruise Productions ..
And Bellram just got spell bound at the way Rajive Singhania is operating with using his International Connections ..
Bellram was finding it difficult to grasp and cope with such mega arrangements and was finding it difficult to fit into a suitable role for him in the whole scenario and asked GJk what's the point in all these, in VEW's Value Education and Nobel Prize for Gloskrutham, other than Singhania Saheb and his BitiYa 😲😀 securing their future ..
And GJk answered, "Why are you forgetting our path of "No Result Orientation".. Of course you have a job in this whole scenario as you know English and Local Languages well.. and your job is to translate well the key note speeches done by the local key speakers in local languages to English good enough without fumbling much.. So go and study English well enough now .. ".. So while Rajive Singhania and his daughter started their Cruise, Bellram went to Rapidex English Speaking courses to bettermine his English speaking abilities to make proper translation of Geetha Govindams well enough, maybe to avoid or reduce on some probable future criticisms so far possible .. 😀🙏 ..
Kochi - Muziris Biennale 2018 - 2019 .. A Gloskrutham Addendum Review ..
NGDCs .. Happened to go to see Biennale today at Fort Kochi .. Even with about 5 hours even the installations in Aspinwal Building could not be completed..
Maybe one of best of the Biennales it seemed with a kind of cooked food analogy rather than raw food .. 😲🤔 ..
Thoughtful observation expressed in paintings by Martha Rosler with her "Beauty knows no pain and if your house is beautiful you might be inviting the war home" series .. Hmmmmmmmmmm .. 🤔😲🙏 ..
"More sweetly play the dance" by William Kentridge is an awesome installation that probably describes many things in a Nutshell which probably is one of the ought to be watched installation which if not watched, one can think to have missed a very nice variety essence of life in a small nutshell pack of about 10 minutes ..
"Art is a lie that just won't die" by Young - Hae Chang Heavy Industries actually made me think of the fun of "ParaBrahma Avabodham" described in Bhagavatham .. Hmmmmmmmmmmmmm .. 🤔😲🥰🤭🙏 ..
And in other installations thoughtful to think of the "Toofan" rail installation that probably mocks all kinds of revolutions based mainly on IT revolution probably making one think of the "O Maria, O Maria, e - mailil love letter taria" song ..
Thoughtful installation by Suresh BV about the White Peacock reminding the Yajur Vedic Principle and the SeeSaw games between black scrafs and different types of brooms .. Thoughtful holding of white peacock's white feathers up artificially on a slippery path downwards.. Interesting also to note that the installation in front (or behind) that was finding a better use of an old loom suiting to contemporary times .. and the installation behind (in front of) B V Suresh's installation being a "Burning Moon" or maybe like the "Mark (KALAnkam) in Moon" also seemed thoughtful ..
Thoughtful narrative on a daily life probable routine with "Everything is going to be Okay tomorrow" ..
And a very thoughtful installation that reminded the movie "Gully Boy" and it's song "Apna Time Aayega" with an UltaPulta thinking (.. Hmmmmmmmmmmmmmm .. 🤔😲🤭🙏..) side by side with the Toofan installation ie perhaps on IT revolution maybe like a kind of different image of "Rockstar" with the "Naadan Parindey Ghar Aaja" song perhaps ..
Maybe if you are nearby somewhere in Kerala and not able to watch the Kochi Muziris Bienalle this time (2018 - 2019), that could be a thoughtful variety miss.. 🙏.. Praise the Lord .. 🙏 ..
NGDCs .. Some Addendum Thoughts on Gloskrutham..
NGDCs .. Some more clarification thoughts on one of the aspect of Gloskutham thoughts .. There is an argument that even some of the educated, intelligent and rational ones in society are not able to understand some of those Gloskutham perceptional thoughts ..
Of course, it is a basic understanding of Gloskutham that everything need not be understood by everyone all the time, however intelligent or educated they might be.. Upon such a premise Gloskutham tries to perceive a kind of Universal ParabrahnaThathwam in any sand particle if possible with a slightly premeditated thinking that even in waves there could be a Sea .. IDK how much such an approach can be fruitful with the physical world realities .. yet just for an explanation purpose.. 🙏 ..
Normal interpretations by scholars point to and focus the momentary life that one has that can anytime go off the leaf of lotus ..
Gloskutham interpretations are not against such scholary interpretations, but tries to add a few addendums too from a probable forgotten past like conversion of hell into heaven kind of principle ..
Like the spirit or aura of life that cling to one is more like the water particle in the leaf that need not stay stable with the leaf (Athisaya Chapalam) and when it is there it is probably an awesome watch / feel with the drop of that spirited elixir of life upon leaf / physical body like the "JalaMathiTharalam" upon the lotus .. So even the annoyance like a wave in the ocean is too probably an opportunity to understand a world of "No Grief" that it is in reality like a Great Healer Ocean ..
Maybe the Hiranyavatharam in Srimad Bhagavatham too tries to bring up this principle of Realization Elixir of Excellence in Life which can probably be indicated only by words but it is for the each individual to Realize on own ..
Once realized that ParabrahmaAvabodham even in waves, maybe like a leaf watching the beauty of a lively drop that can anytime go to some other place from one, maybe a perceptional change can happen perhaps about an Ever Healing World and its beauty of life ..
Not very sure how much this might resonate but without a deeper understanding all words may look shallow however intelligent and scholary that might be .. Thoughtful .. 🤔 .. 🙏 .. Praise the Lord .. 🙏 ..
NGDCs .. Forwarded Photo from WhatsApp..
NGDCs .. Forwarded Photograph from WhatsApp .. Thoughtful .. 🙏 ..
"A Step Further" .. #30 #Gloskrutham Poetry ..
Bellram crossed the first mile stone of approvals in PR..
To win the Nobel Prize for GJk in Gloskrutham Literature Art..
Maybe with a "Tick" mark beginning ..
Perhaps with some Adult Education of VALUEs programmes.. Creating a Perpetual Motion Machine of the First Kind with loyalty and devotion.. Defying even the Energy Laws to create energy even from Unknown Nothing..
With a "Being" art of "Just Be" with the Bigger Flow .. Need not like any similar sounding "A Step Father"..
Who is ready to take the patency of all "Avihitha Garbhas" ..
Like a Vellimoonga kind of Magno Mchita programme ..
Bellram crossed yet another second mile stone of Approvals from the ILP soldiers of Kammara Sambhavam..
With a "V" shaped strategy of Sarcasam upon Sarcasam with Seriousness.. Saving about 72% of energy in flying with a Magno Mchita..
That can help to achieve some more further Extras in Useful Energy ..
To assuage many of the Desires at the Uttharas (Answers) above ..
Like a PMM2 mechanism defying the 2nd law of Thermodynamics going on painting the green(eries) around..
As though there are no Second Class Seconds.. But Still that been not Enough ..
As though Bellram felt the "Tick" Mark is incomplete with a "V" shaped strategy .. Without some waves in "Shushke Neere Ka Kasara" philosophy .. Without some Value Addition using a few wagging tales..
Withoutwhich the Ocean may not look that pretty and appealing externally .. Without the practical knowledge of some skin deep beauty too .. Without some Goggles of own Colour Choices.. Perhaps without some PMM3 mechanism .. The calm Ocean might seem a waveless one..
And then Bellram started the Betting Buzz..
Perhaps to skate thru the waves..
Maybe reaching the Personal heights of Quality..
With a Gloskrutham Interpretation of Bell's Theorem that "Any Real Local Secret is a Quantum Secret only" ..
And if it is not a Secret of Success locally..
Then that can't be a Quantum Success Secret..
Maybe like in some thinking art of Corollaries ..
Perhaps with Some Invisible Gorillas2oo Among ..
Wherein an Egotist is defined as the One ..
Who refuses to Marry at any cost.. Being explained well to the PR activist Bellram.. Probably as a Carrot Before RealizaTion Point for him..
NGDCs .. A modified Financial Game Plan using a MagnoMchita too..
NGDCs .. In the background of news reports regarding, Sri Donald Trump's daughter Ivanka Trump trying to become the President of World Bank, we shall too think of a good old Financial Game Plan with a varied priced Magno Mchita for Fund Raising or for the flow of funds with some added features .. It's a kind of "Benefit Fund" programme .. Some modified features are added in this Plan that was conducted earlier many years back in a low scale ..
To play this financial game there needs to be a formation of Seven peopled groups .. There can be any number of 7 peopled groups depending on the number of total participants .. The first month payment to be done by each in the seven peopled groups is Rs.10000/- each for example, to prepare a Magno Mchita worth Rs. One lakh Twenty Thousand .. (1,20,000/-) .. (If it is a Rs.Twelve Thousand (Rs.12000/-) worth Magno Mchita preparation the payment that needs to be made in the first month is just Rs.1000/- (Rs.Thousand only..) )..
Maybe like a kind of "Prathima Nirmanam (Sculpture Preparation) Art for continual benefits later with or for that slight extra piece of Luck too despite all hardworks put in .. Hmmmmmmmmmm .. 😲 .. 🙏 .. For Praising the Lord too.. 🙏 ..
Now the first lot (kuri) is taken at the end of the first month from these seven people..
And the winner of that lot(Kuri) at the end of first month gets double the payment that he or she has paid .. For example Rs.20000/- .. Registration and Commission expenses for the conductor of this benefit fund is 20% of the payout with a net pay out of Rs.16000/- for the first winner and he or she need not do any payments later and can walk away with the extra cash with glee as a lucky fellow..
Now there are only 6 participants left in the group .. The lot or Kuri at the second month is taken with the remaining 6 members .. The winner of the second month's lot (Kuri) walks away with glee as a more lucky person with double the payment that he or she has done, less 20% from Rs.40000/- ..
Point to be noted if the participant has not paid in advance his share before taking the lot (Kuri), he or she shall not get double of his or her payment and only that payment made by him or her in total, less 20% Registration and Commission fees .. If the second winner has made the mothly payments earlier than the lot, the more lucky second winner walks away with the extra cash gleefully leaving the group with Rs.32000/- for the 20000/- he or she has paid in the second month itself ..
Now the group is left with 5 people only .. And the lot is taken among them only now .. The still luckier winner this time after 3 months gets Rs.60000/- gross for the Rs.30000/- paid less 20% Registration and Commission fees .. And walks away from the group netting Rs. 48000/- with a smile at the end of third month, leaving behind just 4 people in the group ..
And at the end of 4th month the last of the lots (Kuri) is taken .. And the winner of 4th lot (Kuri) wins double the payment he or she has made in 4 months with a gross amount of Rs.80,000/- for the Rs.40,000/- payment made in total by the 4th winner ..
Less 20%, the 4th more luckier winner leaves the group with Rs.64000 for the total payment of Rs.40,000 ie made at the end of 4th month .. The rest of the 3 participants are presented with some options .. They can take back their total paid money in 100 equal parts in 100 months ..
Option 2 comes with a Magno Mchita..
One of them can opt to buy the Rs.1,20,000 priced Magno Mchita prepared from this programme at a base price of Rs.40,000/- forgoing his payments made.. If all the three wants that Magno Mchita there shall be an auction among these 3 and the highest bidder shall need to pay the bid price over and above the payment of Rs.40,000/- made by that one.. The winner of MagnoMchita can participate in the next similar financial game immediately after with another or same 7 participants with a lower or equal to monthly payment amount to test that Magno Mchita to see if his or her luck level has increased or not ..
And again if he or she misses all the 4 lots or kuries this time too, the amount he has paid for Magno Mchita shall be paid back fully..
And then that Magno Mchita can be sold to another one for its power ie shown in giving back its owner, the full amount paid for the previous game immediately itself without any needs to wait for 100 months with equaled parts payments .. Here the tax issues are not considered and if the conductor of such a kind of benefit fund kuries don't invest properly the amount gained from, for the next 100 months wisely, he or she might end up in trouble ..
Maybe here the credentials of the Conductor of such a Benefit Fund highly matter ..
Maybe Trusts and Organizations for Noble causes might find it easier to raise the funds in such a method .. not very sure though .. yet ..
Again, I have not considered any of the legal aspects of such a Benefit Fund Financial Game Plan for the conductor and benefactors ..
Maybe instead of Rs.10000/- monthly payment , if it's made Rs.1000/- monthly payment in a reduced level, probably it can also be an interesting financial game among friends and relative circles of 7 people with some Magno Mchita preparations for increased luck ..
And again this is just a financial tool planning only and I am not responsible for any losses or legal implications that one might incur or have playing such a game ..
.. 🤔😊🙏 .. Praise the Lord .. 🙏 ..